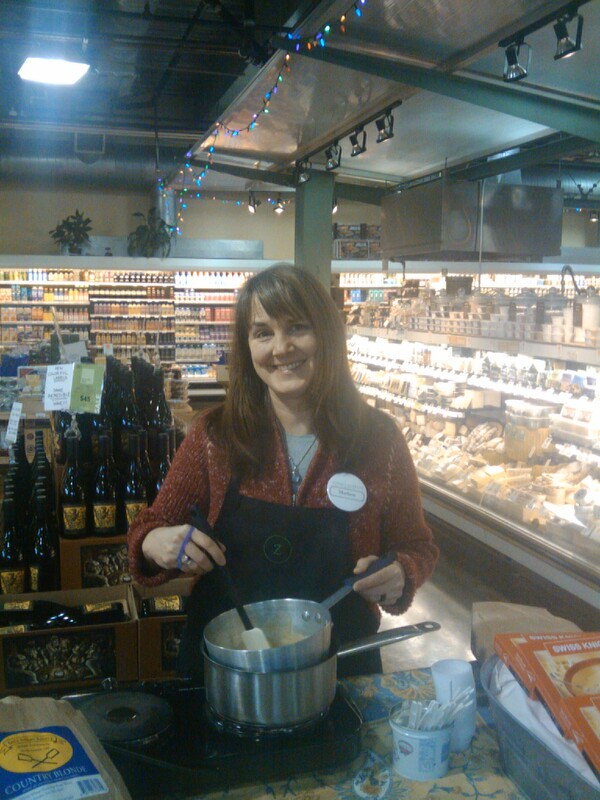 This week, we chatted with Marliese, Tasting Chef at our Macadam store. She’s quite the cook, and enjoys sharing her recipes with new people. Today, we’re sharing more about Marliese and we even included one of her favorite recipes! Zupan’s: How long have you been cooking? Marliese: Since childhood. I cooked for my brothers and father [dishes like] sloppy Joes, tuna casserole, and the memorable and disastrous mayonnaise cake. I trained as a French Pastry Chef in my 20’s. I love desserts because everyone loves you when you make desserts. I’ve broadened my menu since then and have been cooking for at least two decades. Marliese: I’m inspired by wholesome, quality ingredients that are sustainably and justly farmed. I’m also inspired by the cultural and historical elements in food and various dishes. Zupan’s: Do you have a secret cooking tip you can share with our readers?Marliese: Cook from the heart. Follow the recipe as well as you can, but don’t worry if you have to leave an ingredient out or substitute. As cooks, we often critique our cooking, but don’t critique before the meal. Enjoy the first critique later. Zupan’s: Can you share a favorite recipe with our blog readers? 1) In a Dutch Oven, cook sausage, ground beef, onion, and garlic over medium heat until well-browned. Stir in crushed tomatoes and marinara. Season with Italian seasoning, 1 T salt, pepper, and 2 T parsley. Cover and simmer for about 1.5 hours, stirring occassionally. 2) Bring a large pot of lightly salted water to a boil. Cook lasagna noodles in boiling water for 8 to 10 minutes. Drain noodles and rinse with cold water. In a mixing bowl, combine ricotta cheese with egg, remaining parsley, and 1/2 t salt. Preheat oven to 375 degrees. 3) To assemble, spread 1 1/2 C of meat sauce in the bottom of a 9 x 13 inch baking dish. Arrange noodles over meat sauce. Spread with half of the ricotta cheese mixture. Top with a third of the mozzarella cheese slices. Spoon 1 1/2 C meat sauce over mozzarella, and sprinkle with 1/4 C Parmigiano-Reggiano cheese. Cover with foil to prevent sticking, either spray foil with cooking spray, or make sure the foil does not touch the cheese. 4) Bake in preheated oven for 25 minutes. Remove foil and bake an additional 25 minutes. Cool for 15 minutes before serving.